Blue Class have been continuing to work hard across all areas of the Turney School curriculum as we approach the end of the autumn term. Our science work has involved studying different types of fruit. The main learning aim was for recognition, as well as being to describe the different tastes. We have held a successful fruit tasting session. Kiwi fruits and bananas both proved to be popular choices. This work will lead to Blue Class designing and creating their own fruit smoothie. Maths learning in Blue has been about adding other numbers to 10. The children have been given a single digit number, and then asked to add ten to this number. Some of the Blue Class pupils have also been able to carry out a similar task but using subtraction instead. We have seen how number lines can help us with this activity. Literacy learning in Blue Class has involved the children reading a number of different books, based on their learning targets and abilities. Deep Sea Danger is a popular book in Blue Class right now. Phonics work is also an ongoing learning activity. We have been looking at what happens when we add a phonic sound such as ‘er‘ to the end of a word. 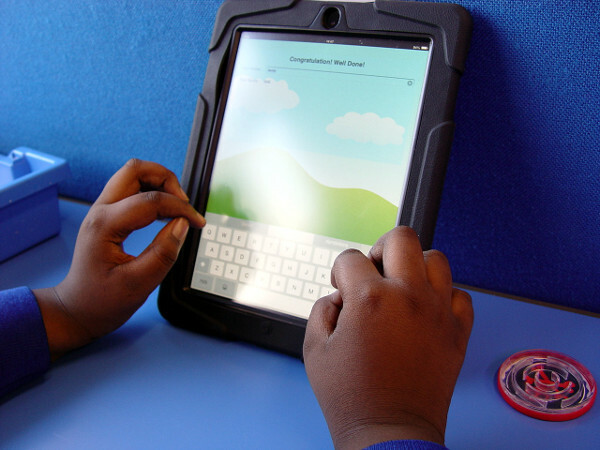 Finally our ICT time in Blue Class has involved plenty of iPad exploration. 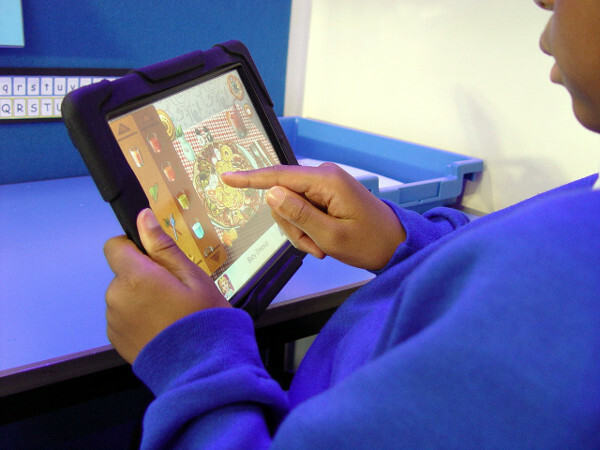 Each class member has access to an iPad during ICT sessions. These are all pre-loaded with a series of safe educational apps. This is also a great activity in helping the pupils to feel familiar when using an iPad and finding information.